We are into another week of NBA Playoffs action and there are three games to look forward to on Monday. There were four games on Sunday and we will quickly look over them before we start our previews of the next set of games. The Cavaliers claimed a 4-0 clean sweep against the Celtics courtesy of their 93-101 win in Boston on Sunday night. Another team that claimed a clean sweep on Sunday night was the Washington Wizards, who defeated the Toronto Raptors by a score of 125-95, sending the Raptors into their off-season. There is all to play for with the Spurs and Clippers as a 105-114 win for the Clippers in San Antonio took the series to 2-2. Things are not running smoothly for the NBA Champions and the Los Angeles Clippers will believe that they have a genuine chance of knocking the champions out. The Mavericks kept their season alive with a 121-109 win against the Rockets, but the side from Houston still holds a 3-1 lead in the series, and they will be confident that they will grab the additional win they need to draw the series to a close before too long. The Hawks haven’t carried the strength and swagger that they had for so much of their regular season into the Playoffs and the Nets managed to take advantage of this in Game 3. The Hawks still have a 2-1 advantage in the Series but the Brooklyn side will be going all out to level the tie in this game. The Hawks may have set a franchise record this season with 60 wins, including 40 wins from their opening 38 games but that certainly hasn’t been the form or pattern of their recent games. They managed two single digit wins in the opening two games of this series before slumping 91-82 on Saturday. The Hawks definitely weren’t at their best, even when they were winning, so it was no real surprise to see them finally undone by the Brooklyn side at one point in this series. The defeat may act as a wake-up call or it may be a signal of something that is going extremely wrong with the Atlanta side these days. The Nets were in good form at home coming to the close of the regular season, winning seven of their final nine games at home and they will feel as though they can continue this form against the Hawks. Deron Williams was limited in the win and he is reportedly suffering from tendinitis, which could see him miss out on Monday night. The Hawks have a 62-23 record this season, including a 25-17 record on the road and a 6-4 record in their last 10 games. They face a Nets side who hold a 42-41 record this season including a 17-23 record at home and a 4-6 record in their last 10 games. With respect to average points for, the Hawks lead 102.2 to 97.8 and for average points against, the Hawks have an advantage of 96.9 to 100.6. Taking the Nets at +4, at odds of 1.90, may be a solid bet for Monday in the NBA. Bet Now! The Bulls made a number of big mistakes in the fourth game of the series and instead of seeing out the series in some style, they handed a lifetime to their opponents from Milwaukee. The Bucks know that they are still on the brink of elimination with this game and if they are going to stay in the series, they will have to pull off a big result. The Bulls haven’t lost at home since the middle of March and the Bucks haven’t won in Chicago since December in 2013. All of which means that this is a tough task for the Bucks, but there were plenty of positive signs to take from their performance in Game 4 which will give them some optimism in this game. It was a narrow 92-90 win but the win is all that matters, and that is what the Bucks will retain in their mind as they head into this game. It would be fair to say that Derrick Rose has had better nights for the Bulls but he will be keen to get back to normal in this game and you still have to think that the Bulls will have more than enough to take care of the Bucks and arrange their place in the next round of the NBA Playoffs with a win in this game. OJ Mayo was the star turn for the Bucks on Saturday, grabbing 18 points while Jared Dudley provided 13 points and 5 assists. One of these assists was the pass that allowed Jerryd Bayless to grab the winner and these players will need to be at their best if the Bucks want to grab another win. The Bucks hold a 42-44 record, which includes an 18-25 record on the road and in their last 10 games, the Bucks sit with a 4-6 record. The Bulls are 53-33 for the season so far and this includes a 29-14 record at home with a 7-3 record in their last 10 games. With respect to average points for, the Bulls lead 100.7 to 97.6 and for average points against, the Bucks narrowly lead 97.5 to 97.6. 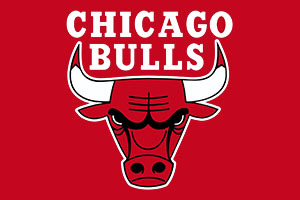 The Bulls will want to have this series wrapped up at the end of this game and taking them at -8.5, with odds of 1.90, is likely to be a very sensible bet for most people on Monday. Bet Now! With a 3-0 lead, the Grizzlies are on the brink of the next round but considering that they know the best team in the NBA is waiting for them, they may not be in the biggest of rushes to get there! Then again, the quicker they get this series over and done with, the more time the Grizzlies will have to rest up and focus their energies on causing a big shock. However, if they are looking to take care of the Trail Blazers on Monday night, they will have to do so without Mike Conley. Conley took a shot to the eye in Game 3 and this will see him side-lined. Given the fact that the player has also been struggling with a foot injury, this may not be the worst time to pick up an additional injury to cause him to rest but at this stage of the season, you never want to be without your best players. However, given the position that the Grizzlies find themselves in after three games of the series, they have a bit of leeway. Conley was accidentally elbowed in the face during the win on Saturday night and the Memphis side will be hoping that the absence of Conley will be minimised with the return of Beno Udrih, who missed Game 3. The Grizzlies are looking for their 8th win in a row and if they do triumph in this game, it will be their 13th win in 14 games against the team from Portland. The Blazers have lost 7 in a row and they know that they haven’t been at their best of late. LaMarcus Aldridge did manage to grab 56 points in the opening two games but then offered up 21 points at the weekend. The Grizzlies are 58-27 at the moment with a 25-17 record on the road and a 7-3 record in their last 10 games. The Trail Blazers are 51-34, including a 32-10 record at home, and a 2-8 record in their last 10 games, which is a horrific record for any team in the Playoffs. For average points scored, the Blazers lead 102.4 to 98.5 and for average points against, the Grizzlies lead 95.0 to 98.8. The Trail Blazers know that they need to win and the Grizzlies are understrength but taking the Memphis Grizzlies with a +3.5 handicap, with odds of 1.90, may not be the worst thing you do on Monday. Bet Now!